A life insurance trust transfers ownership of the policy. A life insurance trust is an irrevocable estate-planning tool that allows a person to place the proceeds of his life insurance policy out of his estate. By transferring ownership of the policy to a life insurance trust, the grantor can provide insurance proceeds to a beneficiary without having to worry about any estate tax implications or the involvement of a probate court to handle the trust proceeds. It is intended not to be cancelled by its very nature, but an irrevocable life insurance trust may be cancelled under certain circumstances. Many trusts are revocable, meaning that they can be changed, amended or revoked. The grantor, the person who establishes the trust, can simply make an amendment or revoke his trust if he wants to change it. In contrast, an irrevocable trust cannot usually be changed, amended or revoked unless the grantor or interested party gets a court order to do so or unless there is specific language in the trust instrument that allows the trust to be cancelled. Life insurance trusts aren't considered assets that are part of the grantor's estate. Therefore, they are not subject to estate tax. Because the trust is irrevocable, creditors usually can't reach it. In this manner, a grantor can provide a beneficiary with the proceeds of her life insurance policy without being afraid that creditors will confiscate the proceeds. A life insurance trust is established when the trust purchases a life insurance policy or the grantor transfers an existing life insurance policy to the trust. This transfer makes the trust the owner of the policy. The trust pays for premiums on the life insurance policy based on gifts that the grantor puts in the trust. If the grantor stops putting money in the trust to pay the premiums, the insurance policy will lapse, effectively canceling the trust's purpose. The terms of the trust override any presumption of law, the accepted standards that courts use to fill in any gaps. While the presumption may be that the life insurance trust cannot be cancelled, some irrevocable life insurance trusts may contain language that allows an independent trustee or a trust protector to terminate the life insurance trust that overrides the presumption. Other trusts include language that gives a beneficiary trustee the power to cancel a trust at his own discretion, while others might allow for cancellation under specified circumstances. Even an irrevocable trust can be revoked with a court order. A court may execute an order that permits the dissolution of a life insurance trust if changes in trust or tax laws or in the grantor's family situation make the life insurance trust no longer serve its original purpose. However, getting a court order for this purpose may be expensive. 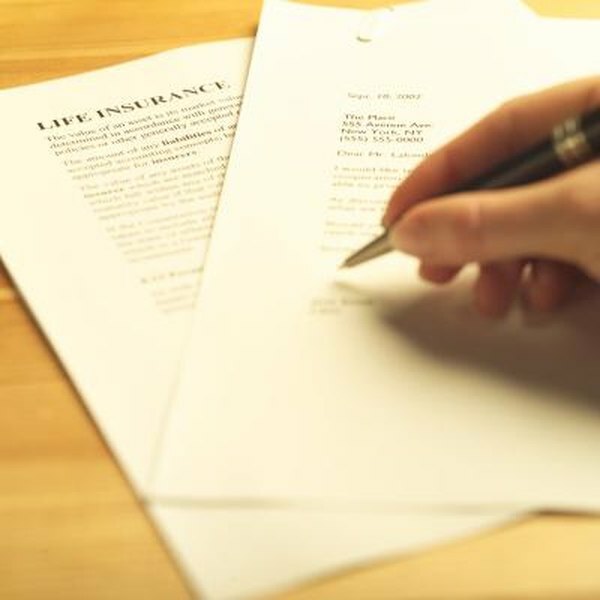 Grantors or beneficiaries who take this route will likely need to pursue legal representation: Life insurance trusts are typically drafted with much more care due to their difficulty in revoking them, so they may be harder to crack than revocable trusts. Decanting is a process that allows all of the beneficiaries of a trust to come together and make a new trust, effectively cancelling the original trust and provisions. Eighteen states specifically allow for decanting and other states may accept this method through precedent established in case law. Each state has its own rules that allow or prohibit certain changes in the trust, so a lawyer should be consulted to determine the possibilities in the state where the trust is established.